Main System software updates include improvements and bug fixes to improve device functionality. These improvements are usually of a specific nature, relating to a particular function,so please read the software release notes (overview of changes) in the installation guide before updating. Main System updates are usually released once or twice a year or as required. However as this model is now discontinued there will not be any further updates. Bluetooth firmware updates contain compatibility improvements for mobile phone models. Gracenote database updates contain ID3 tag meta data to show new artist, album or/and track info of the music charts. Since the database on the devices is static, artist meta data become outdated. The update provides a refreshed database covering new albums, new artists and new songs. The Gracenote update refreshes the content of the latest music charts. Approximately one Gracenote database update is scheduled per year for current models. What conditions must be met to install the Z-E2014M? The physical shape of the OE radio or navigation must be identical with the Z-E2014M. The Z-E2014M features a single FM tuner. That means that vehicles fitted with dual antenna system and two Fakra plugs, require a Diversity adapter (for example ZE-NC-ANT) for best reception performance. Aftermarket antenna installation requirements should be best discussed with an authorized ZENEC dealer. The Z-E2014M is set up correctly ex-works, i.e. the antenna phantom power is set to ON. The use of additional external aftermarket antenna Phantom power adaptors is not allowed and will inevitably trigger the protection circuit of the FM tuner pc board. Is the Z-E2014M compatible with OE sound systems? Yes, the device is compatible with factory mounted Dynaudio sound systems. The Fender type sound systems found in some vehicle models such as 2012 Beetle / Passat / Jetta Gli are not supported. Does the Z-E2014M offer steering wheel remote control integration? Please make sure that the brown connector on the backside of the Z-E2014M is properly connected to the CAN interface. This wire lead transmits the CAN data between the interface and the Z-E2014M and the steering wheel remote control buttons. The Z-E2014M offers identical steering wheel control functions to the OE radio. Can I adjust and operate the OE factory installed auxiliary heating system via the ZENEC device? ZENEC E>GO device will not turn on when the ignition of the vehicle is off. This ZENEC E>GO device requires ignition to be ON and CAN signals operational for the device to operate. CAN data is only present in the vehicle, when ignition status is on – for this reason it is not possible to manually turn on and operate the device with ignition set to the off position. GPS antennas are usually equipped with a standard FAKRA connector that can be connected to the Z-E2014M. However, it is still recommended to install and use the ZENEC GPS antenna supplied with the unit – since it is adjusted for use with this particular device and will, most likely, offer better GPS reception. No. The Z-E2014M comes with an integrated high quality hands-free module by Parrot. Any OE installed hands-free devices should be completely shut down, by removing the respective fuse in the main fuse box. Neglecting this step will probably lead to interference and malfunctioning of the Parrot module. Please remove the fuse for the OE integrated BT hardware in the vehicle fuse box to avoid BT interference issues. Choose “Navi” to allow the GPS system to set brightness automatically over day / night using the signal from the GPS system. Select “sensor” to allow the screen brightness adjustment via light sensor embedded in the device. Note that the sensor is insensitive for fast changes of brightness on purpose, where the delay will reduce unwanted screen brightness changes (for example during device operation or driving through avenues with trees etc.). How does the day / night switch work for the HMI: The factory default is set to day / night switching controlled by the GPS navigation system. However, there is the possibility to adjust this function manually. If the GPS signal-controlled auto switching is not desired, it can be deactivated in the Navigation Pane of settings (NAV> More> Settings> Map Setup> Color> Day / Night / Auto). Why do I need software updates and where can I find it? ZENEC often releases software updates to add new functionality, correct software issues and improve reliability in general. Some updates also contain up to date BT firmware, to offer improved compatibility with new mobile phones. Software updates can be downloaded from the ZENEC Australia Support Knowledgebase. Go to “Support” and then select the ‘Software Updates, FAQ’s & User Manuals’ – Z-E2014M Vehicle Specific Folder. Select the “Software Updates”. Do not download software packages from third parties or other unknown sources from the Internet, because unauthorised software can irreversibly damage your unit. Devices that show software system failure by unauthorised software are excluded from warranty service and this damage is not covered by a no charge warranty repair. Normal service charges apply for any service/support/parts provided relating to this type of issue. We use maps from the market leader ‘here.com’ for Australia and New Zealand. Sometimes incorrect map data may cause a navigation error. If you experience this, we recommend that this should be reported directly to ‘here.com’ to enable them to correct their mapping data. When starting the engine my Z-E2014M switches off and reboots. If the voltage supply drops below 9 V, your ZENEC device will shut down automatically to avoid incomplete loading of software functions. This is a device self protection mechanism and not a defect. You may, however, check the electrical installation of your vehicle (battery worn down, bad or corroded ground contacts / connectors, etc.). What should I take into consideration when using SD cards? The SD card reader on the front side of the Z-E2014M device is reserved for use by the navigation SD-card exclusively. Avoid removing the SD card from the device, when device is running. Playback of video or audio files on SD card by the reader on the front panel is not possible, even with the Navi SD-card removed. The USB hub keeps changing the drive indication (over optional accessory ZE-EACC-HUB)? 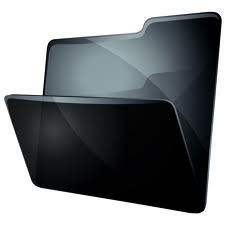 It may happen, depending on the assignment of USB memory devices connected to the USB hub, that the media drive indicator does change the address of drives assigned before, due to dynamic assignment of drive letters by the system. If you have problems, while playback from USB, make sure that the USB disk is formatted correctly. In this case, note the following: In Windows Vista, Windows 7 and Windows 8 you have the option of a quick format or full format. For problems with the disk, full format is recommended. Make sure that the checkbox at formatting options -> Quick format is not enabled. Make sure that the FAT32 file system is selected. 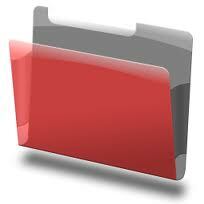 Do not use NTFS, HPFS and EXTFAT file system settings.